When in college or at higher education levels, you will most likely be required to complete research paper assignments. If you are not the type of students who use custom writing services, you may need to note some tips on how to write a research paper. If you are writing your first research paper, it may seem like a daunting task. However, with a focused mind and great organization you can make writing a research paper so easy. 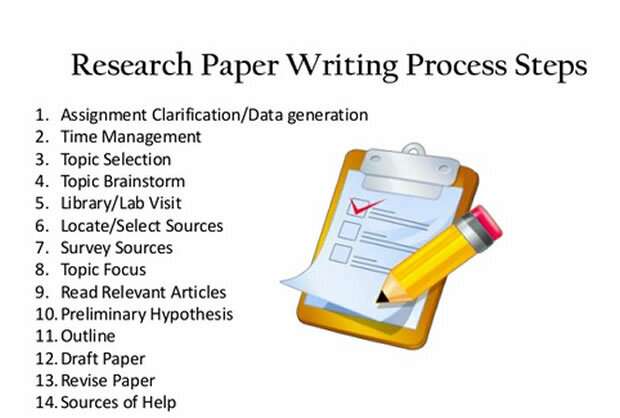 There are four main steps to writing a great research paper. Choosing the topic of your essay is the most important thing when writing your research paper. Your topic should be interesting; try to offer something unique, something new and an area where you will get enough research material. You should pick a topic that you are interested in. When you write something that you have passion in, it will reflect in your final paper; you will be successful when you write an interesting topic since you will be motivated to do research. Moreover, stay original when writing your essay. Think about the other students. Ensure that they will not be doing research on the same topic you are interested in. It is hard for a teacher to find a topic written by everyone in the class as interesting. If you are facing problems coming up with the right topic, ask your friends or go to your professor for tips. Even if they may not have options for you to pick from, they can give you inspiration for new ideas. Professors want their students to succeed in the course. They will, therefore, do whatever possible to see you through. If you can’t get material for your chosen topic or the topic doesn’t strike you as interesting, do not hesitate to change it. You will find research topics ranging from early childhood education to adult learning theories. Once you have a topic, you can start researching. Use journals, encyclopedias, web pages, blog posts, and interviews to start. You need sources that offer insight backed by valid research. If possible, look for peer-reviewed empirical research. Peer-reviewed sources involve articles that have been approved by other experts in the field of study. You can find peer-reviewed sources through online search. A peer-reviewed journal has references at the end. Moreover, the page is plain; it is not decorated with different colors. The language used in peer-reviewed sources is formal. Ensure the information you find is trustworthy. Think critically when reading every source and determine its legitimacy. Do not just pick the first two or three google results. Make sure you use academic databases. There are search engines that give free results of peer-reviewed sources only. Google Scholar, for instance, will only give results of academic sources. University online library services allow access to libraries that require paid memberships. You should try to be creative with your research. When you find a source that perfectly covers your topic, go to its bibliography section. Here you can discover more books that are about that topic. Print copies of your online sources and mark areas of importance. Take notes beside the important points in the copies you have. This strategy makes it easy when writing the research paper since you have somewhere to refer to. Organize your highlighted points and explanations. Make an interim reference page. As you organize your notes, you could note the publisher’s info, the name of author and pages. Write your outline with a goal in mind. This objective will be determined by the type of research paper. While an argumentative research paper takes a position and argues it, an analytical paper looks at an essential issue from a new angle. When writing your paper, have your audience in mind. It is vital that the tone of your paper addresses the audience you are writing to. Come up with a strong thesis statement. While the thesis can be altered, it should be written at the start of your paper. Read more about a thesis statement at the center for writing studies. Determine your main points, ensure your paper’s organization depending on formatting guidelines, instructions and rubric. With the above tips followed, finalize your outline. By now, you should have a skeleton of your article in bullet points. When writing your paper, start with the body paragraphs first. Writing the intro later becomes easy when you have covered the content of the paper; you understand what to introduce. In a research paper, any remarks made should be supported by evidence. Add commentaries to your paper to give it a feel of your own. Do not use too many quotes. Unless it feels necessary to do so, try to paraphrase as much as possible. You don’t want your paper to feel like a collection of a bunch of quotes. The introduction is actually writing the conclusion in reverse. Introduce the main topic, take the reader through your area of focus and in the last one or two sentences, give the thesis statement. Avoid suing exact statements in both the intro and conclusion. Document your research as per the style of formatting in the instructions. In-text cite and reference to avoid plagiarizing. While it is tempting to hand in your paper after you proofread it, it is recommended that you get opinions from different people. Have your friend(s) and one or two family members read it. Accept their comment and correct your paper. Once you have made changes to your paper again, finalize all ideas; rearrange if necessary. Make sure the paper structure matches the requirements of your professor. Is the deadline too close and you have a lot of stuff to do? You can trust the services of custom essay writers. They will write a specially tailored paper to suit your needs and the requirements given by your institution.